West Ham United are keeping tabs on Manchester United forward Wayne Rooney for the summer move, according to SkySports. Manchester United veteran Wayne Rooney could heading out this summer as West Ham prepare to launch a bid. The Englishman has been in poor form this season, he has started only nine Premier League games for Manchester United. 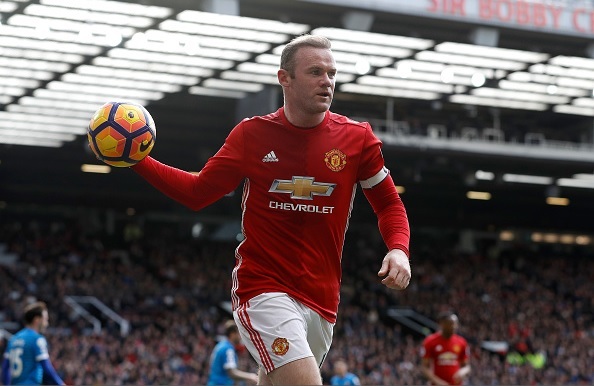 Rooney has still two years left on his current contract and it all depends on whether Man United are ready to sell their former talisman. With Jose Mourinho unsatisfied with the former Everton striker, it is expected that he would leave the club. However, West Ham are not the only side interested in his services, Chinese sides Guangzhou Evergrande, Beijing Guoan and Jiangsu Suning have also approached recently and they could also be fighting to get him. Rooney joined the Red Devils from Everton for £27million in 2004, since then he has won big trophies like Premier League and Champions League. The 30-year-old has also become Man United all-time leading scorer with 250 goals. West Ham are confident that they will sign him despite of knowing his comments, he said that he would only play for Man United and Everton in Premier League.